A scooter rider who "lost control" of his bike while approaching a bend has died, police have said. Richard Bean, who was a cleaning supervisor at Preston's Fishergate Centre, collided with a row of barriers on Leyland Road at Lower Penwortham. 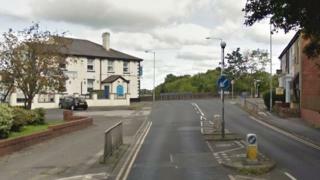 Lancashire Police are appealing for witnesses after the 39-year-old died at the scene. In a tribute, his family said they were "devastated", adding he was a "loving husband, dad and grandad".